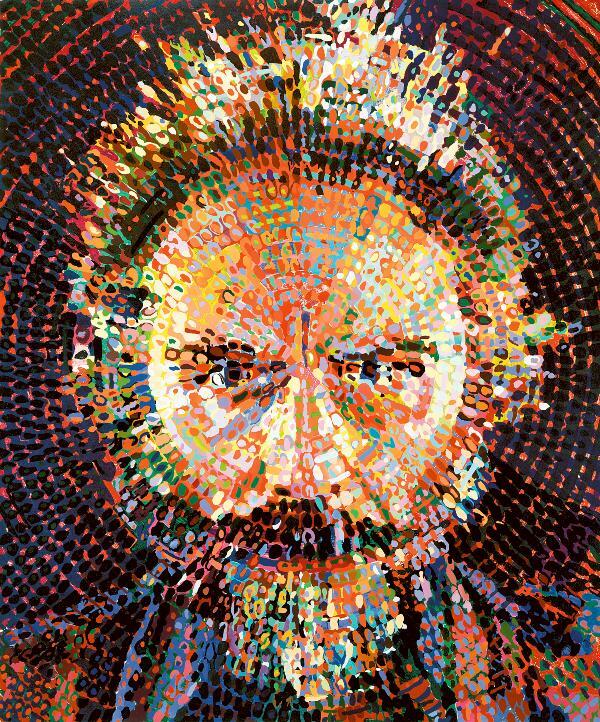 Chuck Close, Lucas/Woodcut, 1993. Woodcut with pochoir. 46 ½ x 36 in. (sheet, approx. ), edition of 50. From a charitable trust. Attention art lovers: The Art Auction, sponsored by the Museum’s Contemporary Art Society, is happening this Saturday, October 23. Place your bids on over 150 items up for auction, currently on display in the Contemporary Galleries. The Art Auction is a semi-annual event that raises money to benefit new acquisitions for the Museum. Don’t miss out! Tickets are still available. For those interested in learning more, there will be a Gallery Talk with Chief Curator Brady Roberts on The Art Auction on Tuesday, October 19 at 1:30 p.m. The talk is free with Museum admission. On Thursday, October 21, Wisconsin Public Radio’s Kathleen Dunn will broadcast LIVE from the Museum’s Lubar Auditorium. Her guests will be author Nancy Pearl, and Director of Exhibitions Laurie Winters. Admission is free; doors open at 8:30 a.m.
Then stick around, because if you haven’t seen European Design Since 1985 already, here’s your chance. Assistant Curator Mel Buchanan will host an Express Talk on Thursday, October 21 at 12:00 p.m. in the Baker/Rowland Galleries. For more information, please see www.mam.org. This entry was posted in Events and tagged European Design Since 1985. Bookmark the permalink.